Today was one of those days that I just happened to be in the right place at the right time. I was walking through the Stephen’s Green centre in Dublin and I happened to notice a bit of commotion out the side door. 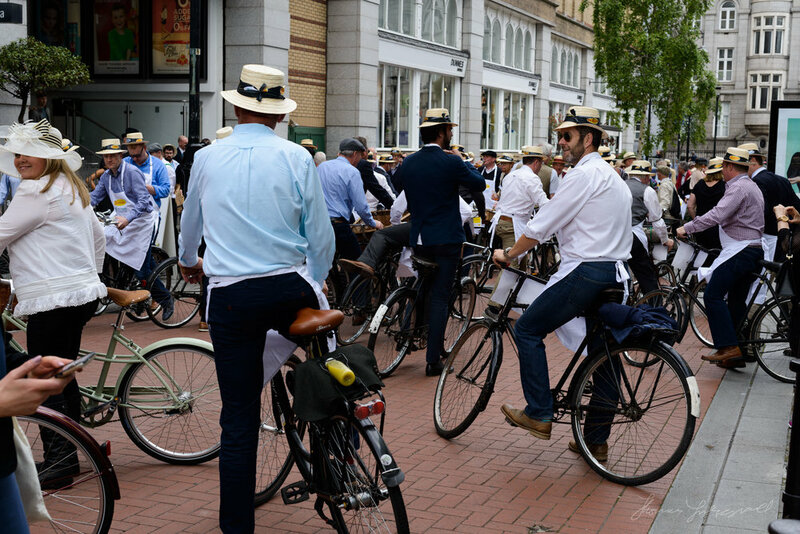 I walked out only to be greeted by a lot of people dressed up in old clothes on old bikes. 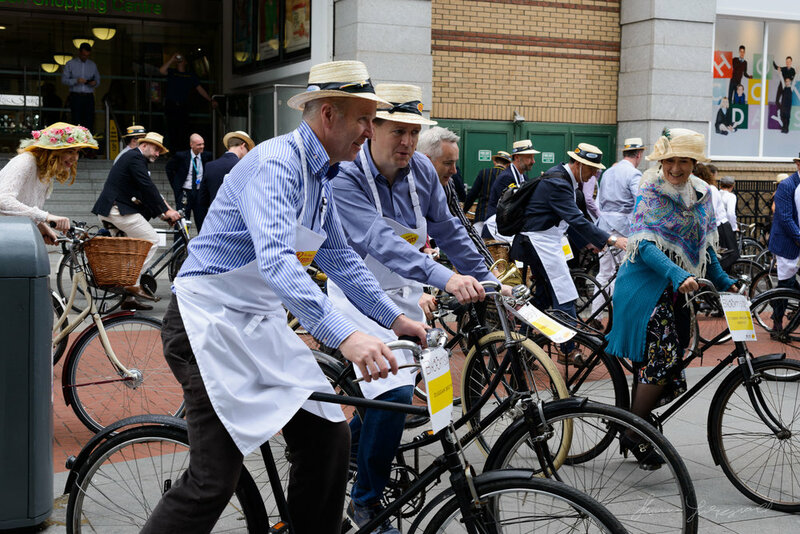 It was of course Bloomsday today, and I had wandered into the start of the Bloomsday Bike Rally. Starting on St. Stephen’s Green, the Lord Mayor will join us on the steps of the mansion House for a rousing rendition of “Molly Malone”. 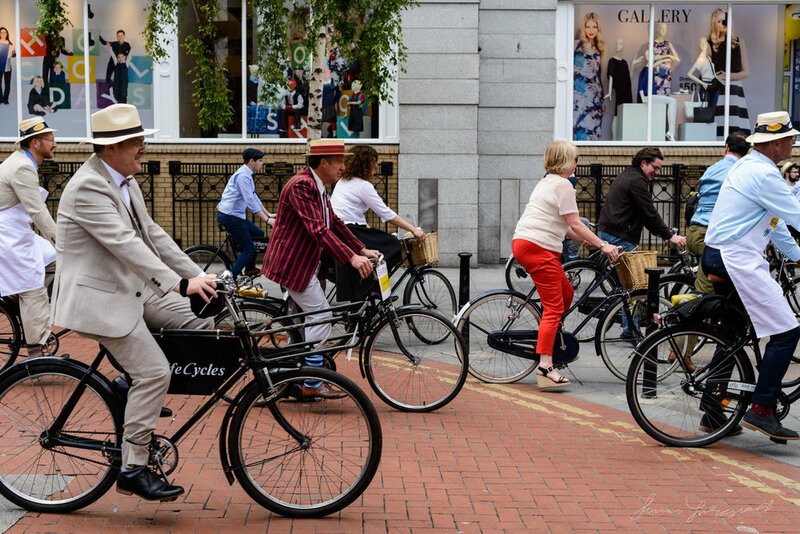 The bicycles will ring in unison as our Edwardian ladies and gentlemen continue on their tour of Dublin’s fair city, making pit-stops along the way for some well-deserved refreshments and sandwiches at friendly public houses.